This entry was posted in Bite-Sized, Dragon Ball, Images, Pop Culture and tagged Dragon Ball Z, Goku, Meme. Bookmark the permalink. Only three of these pictures have Goku in them. 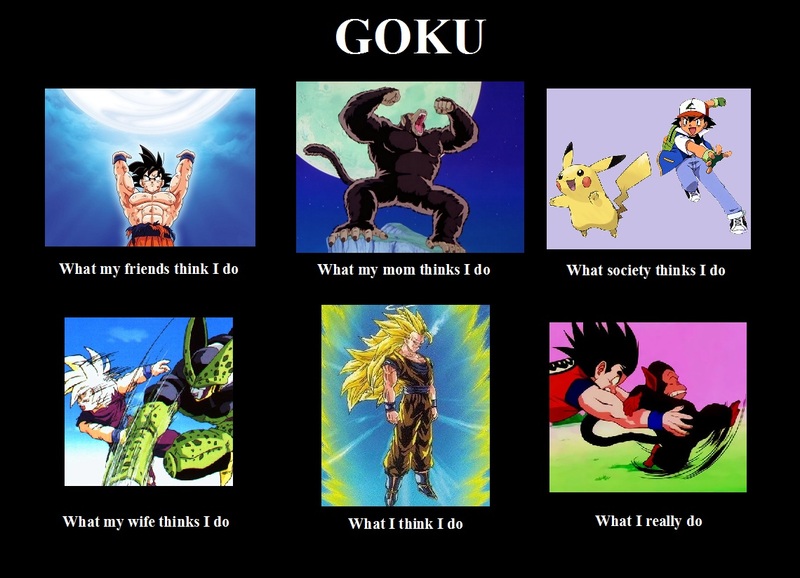 The picture “What my mom thinks I do” and “What my wife thinks I do” are pictures of Gohan. #2 is a cheat, it’s just my favourite picture of a Great Ape. #4 is more a reference to the fact that Goku is constantly putting Gohan in danger and causing Chi-chi to worry. I was originally looking for pictures of Goku getting beaten up, but this image is much funnier.